Comcast and Time Warner want to merge their cable operations in the US. They are the two largest Pay TV companies but the merger would result in them having 30 percent of the US pay TV market. That said, competition is, in many respects local, and the argument is that there the shares of each will not change much. The issue arises upstream in the market. As Comcast and Time Warner are customer facing, the question is what happens to their bargaining power with respect to ‘content providers.’ We should note that Comcast itself is one of those content providers. Given that the merged entity will have a substantial position on the largest markets in the US, one would expect their buyer power to increase. Economists have long had a difficult relationship with buyer or monopsony power (including the strange term that is monopsony). If two downstream firms merge and they can’t increase prices to consumers because of competition downstream, they may be able to extract better terms from suppliers. How might they do this? The traditional way would be to ‘withhold demand.’ By doing this they can squeeze suppliers and increase their own price-cost margins. That would not be good news. But that story also relies on their being some downstream market power as well. Instead, if, and I’m not sure that is the greatest assumption here, there is sufficient competition downstream, then a merged firm has an incentive to squeeze suppliers to either (i) increase their own profits or (ii) give them a competitive advantage over rivals. One option doesn’t impact on downstream consumers while the other may even improve benefits to them. That is why Tim Wu wanted to see evidence of price falls for consumers as part of the rationale for permitting the merger. Similarly, it is why Tyler Cowen wasn’t worried at all. Now, there is another consideration as pointed out by Paul Krugman; if there is an advantage to size in providing a competitive advantage to Comcast-Time Warner, then consequently, there will be increased difficulty for smaller competitors to compete and also reduced incentive to enter these markets. The only problem with this story is that it is not a full equilibrium story. If the merged entity can get better deals from content providers that, in turn, reduce competition and gives them the ability to have more of those better deals, then what of the content provider’s reaction? They don’t have to hand Comcast-Time Warner a competitive advantage, right? They can give the savings to smaller competitors. If they see through the equilibrium, that is precisely what will occur. This is where economics seems to get messy but not really. For years this is precisely the set of back and forths that I have been researching on. The papers are technical (for example, here) but their message is simple: where this bites is where there is vertical integration — and that is the missing issue in terms of what has been discussed thusfar. 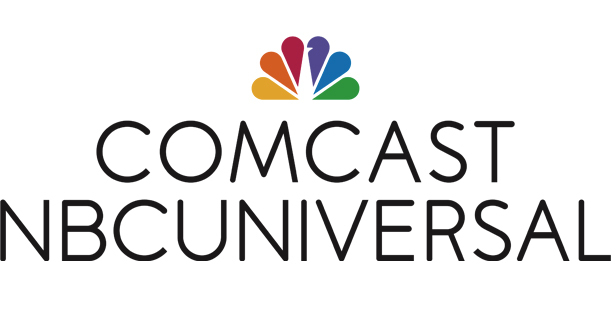 Comcast is a vertically integrated entity. It bought NBC Universal in 2009, giving it a substantial position in televised content as well as upstream content ownership. That became a full stake in 2013. What does all this mean? Well if Comcast really didn’t face competitive worries downstream (from those other than Time Warner) then it would already have a good bargaining position with content providers and so wouldn’t really need to integrate into them. Instead, when there are competitive worries (especially from other upstream content providers such as, say, Netflix) this is another story. Then there is much to be gained from vertical integration and, in this case, the merger is increasing the degree of vertical integration that now extends to markets where Time Warner had the larger downstream position. In other words, the issue here is not the horizontal merger (which doesn’t look like much). Instead, it is the vertical merger. What are the consequences of that increased vertical integration? First, higher and not lower prices to Comcast-Time Warner’s competitors downstream both in cable and over the Internet. Second, potentially harsher terms from independent content providers for the merged entity’s cable TV infrastructure but also potentially its broadband infrastructure too — unless, of course, Net Neutrality is really a thing in the US which recent decisions might cause one to doubt. Of course, with every potential harm to the public benefit is also opportunity. What would happen if, as part of the conditions to approve this merger (a) content assets were divested; and (b) Net Neutrality was enshrined? That may remove more structural impediments to competition and guarantee that this is a long-term win for consumers. It would be nice if someone were to propose that. Even under the reasonable argument that TWC and Comcast do not compete directly at the local level, I have yet to see a discussion of whether the threat of entry from a cable competitor is likely to affect pricing strategies. Thoughts? Hi Joshua, I must say I am confused. My understanding is that a cable customer cannot switch to another cable provider – ie, no local loop unbundling. He/she could switch to a broadband or satellite provider maybe – ie, intermodal rather than intramodal competition. If this is the case, then I struggle to see how the horizontal story can work. Tim Wu mentions the precedent of regional sports networks where Comcast signed exclusive deals to weaken competition from satellite. But what would have prevented TWC to do the same already? That is to say, there is no need to think about how the equilibrium would unfold. The economics here is similar to mobile termination services under calling-party-pays regime, whereby even the smallest mobile network enjoys a monopoly position over its customer base with respect to termination services (ie, since the customer is not affected directly by how much the network charges other networks for call termination). The same criticism should apply to the net-neutrality story, that is, TWC should already have all the market power it needs by virtue of its captured customer base (at least, over the cable infrastructure). That is, the combination of the two intramodal customer bases should not increase bargaining power that much I would have thought. Regarding the vertical integration story, I can see how this works if the content owned by Comcast is must have and can drive customers decisions regarding whether to take up the cable’s bundled offer or not. This I suppose is an empirical question more than anything, but it seems to me the trend is towards unbundling, so if the merger entity tries to squeeze independent content providers or foreclose downstream competitors wouldn’t it risk increasing rather than slowing down the transition towards unbundled content fruition over-the-top? This merger is meant to solve a problem of their own making. Average pricing resulting from content bundling over the past 2 decades is uneconomic from the buyers’s perspectives as well as the sellers’. While many claim the opposite, we’ve seen from Netflix and other IPTV providers, that choice means greater, not smaller markets for media and content providers. Reverse network effects set in a long time ago. This merger is just trying to stave off the inevitable results of horizontalization and digitization. Just wait til 4K hits in the next 2-4 years. Potential solution similar to divesting the content business – split the combined entity in two. 2. Wholesale Network Access Business – provides physical network access to service business and any other entity under equal terms; and bound by net neutrality. Prohibited from having direct consumer relationships. These could either be separate listed businesses or both owned by the same parent group – the model is similar to British Telecom in the UK. The regulator has stipulated the business operate as as two separate entities – BT Retail (consumer service) and OpenReach (wholesale network access). Would allow companies like Apple, Microsoft or Roku to potentially compete on equal terms. …other ‘entertain’ companies like DirectTV, Charter – would also have access to this wholesale network, dramatically increasing their reach and competition. Pingback: Digitopoly | How is it exactly that cable companies in the US don’t compete?